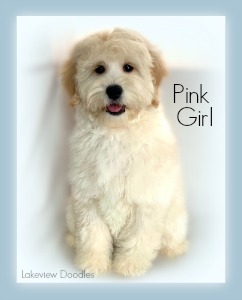 Miss Pink Girl was born on November 11th, and is ready for her new family! Full grown she will weigh 27-30lbs . She has been fully vaccinated , mostly potty trained & crate trained! 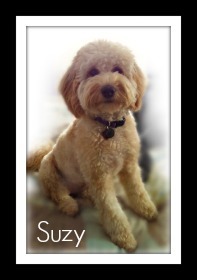 As an adult, she will have soft medium curly coat, which is ideal for our families with allergies. 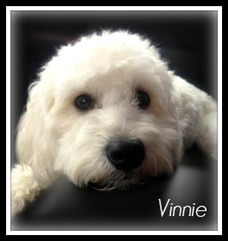 She is very sweet, playful, affectionate & of course adorable! Here are some of Suzy & Vinnie's pups from last year!